Mothers are always excited to gear up their newborn babies with beautiful clothes and cute hair accessories. Those vibrant baby flower headbands and those OMG baby bows look so charming on those little infants. They definitely add on to their magnetic pull. Baby Hair Clips for Wedding and baby bow headbands for birthdays have always created a strong impression!! But there are a few questions that every mom has when she is shopping for those colourful baby headbands. For instance, when can newborn babies safely wear headbands or how to get baby to wear headband or How to Choose Baby Headbands. 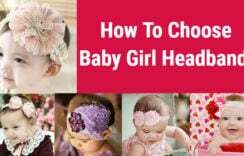 This post is an attempt to bring more clarity on these questions which pester mommies when they plan to buy baby headbands for newborns. Why Baby Girl’s Wear Headbands? It keeps their hair in place especially in hot season. 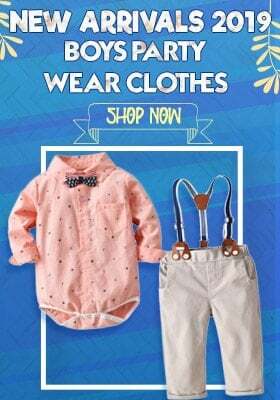 Keep her cool with right newborn baby clothes for summers. It can also be used as a photography prop. Explore ways to click cutest newborn photography with headband props. We understand that newborns are very delicate and need to be handled with utmost care. Read through tips to follow if you have got a newborn at home. Make your little one wear this baby hair accessory in India around her head and not scalp as scalp is considered to be pretty sensitive in the first year. Pick those baby headbands which fit comfortably on the head of your child. Don’t go for anything that is too tight as it will hamper the blood circulation. Always check for elasticity and the fabric of the baby headbands. Always go with cotton fabrics as they ensure comfort. If you feel the need then seek guidance of your pediatrician. 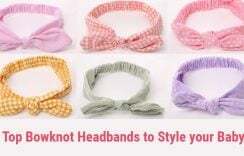 By following all the points stated above, you are all set to dress your newborn in cute headbands because it is extremely important to know what things affect dressing up your little one in these baby hair accessories. Once you are sure that you are ready to buy newborn headbands, the next question is to where to buy cute headbands for newborn babies in India. 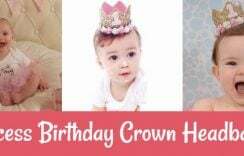 Our 1st Birthday Crowns & Tiaras Collection is Live with the most attractive and fashionable hair bands online for babies. Look no further as Toddler Girl Headbands Range now available for best prices on just one click!!!! You can grab them in latest designs and unique patterns to have an unmatched collection of newborn baby headbands.